Often when writing on this blog I find myself focusing on the inward journey that this girl has lead me on–how she’s changed the way I see the world. It seems that I here I speak less (at least less directly) about how being Esmé’s mother has altered the person I am in the world, the person I want to be in the world. Perhaps this is often implied in the stories I tell about the the moments I have to speak up for Esmé, my uncomfortable sense of humor, the things I need to be ready to react to–but it has been harder for me to explain how being Esmé’s mother has deeply altered my footing in life. Or, perhaps more accurately, how she has helped me be comfortable with the unstable footing that comes with having a child like Esmé. And honestly, I suppose I write less about this because it is only just now becoming clear to me. At some point my intense focus inward toward Esmé turned out on itself, into something larger. Always, always Esmé is at the center of it, but my love for her is something that I seem only to be able to get a handle on as I let it bleed over into trying to connect outward, into the world…with my words, with my connections with other families in similar situations, with the Cute Syndrome Foundation. My love for her is just too big to be held inside the space between the two of us. I see it better when I write about the crinkles in her face when she smiles…Or when I stand next to another mother who has learned how to always be the calmest person in the room when her child seizes, or stops breathing, or pulls out her feeding tube…Or when I have the chance to explain to someone that the strongest most interesting person I know is 27-pound five-year-old, to say that she is the reason for everything that is good in me. I think I have spent a lot of time feeling guilty that the things I spend my time doing–writing, running the foundation, being active in various medically-fragile groups online. I worry that these things might take away from my time with and focus on my daughter. But I have begun to see that isn’t the case at all…these things that Esmé has given me–the ability to take a particular kind of risk, to ask for what I want, to write the words I want to write, to appreciate my life–these are gifts. They are reminders of my duty to be in the world, my duty to do the things I think need doing, my duty to honor Esmé. 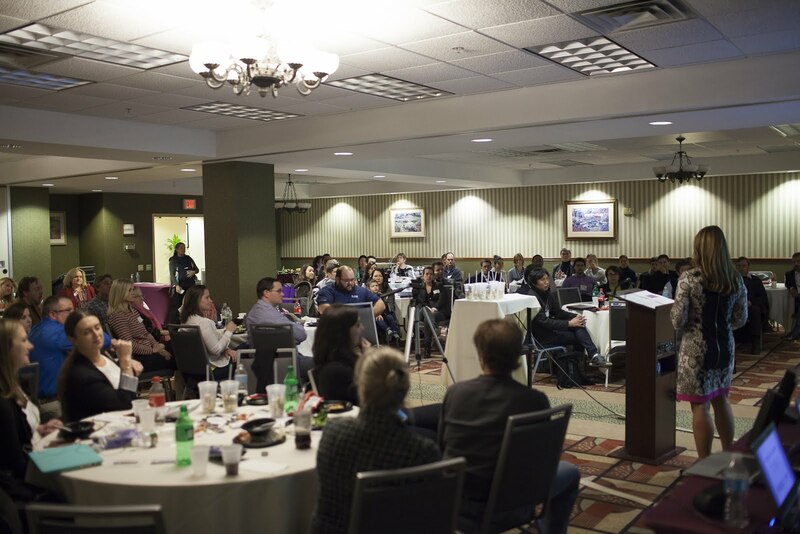 Just over week ago I found myself in a room in Philadelphia with almost 90 people–scientists, physicians, and children with SCN8A mutations and their loved ones–looking expectantly at me. 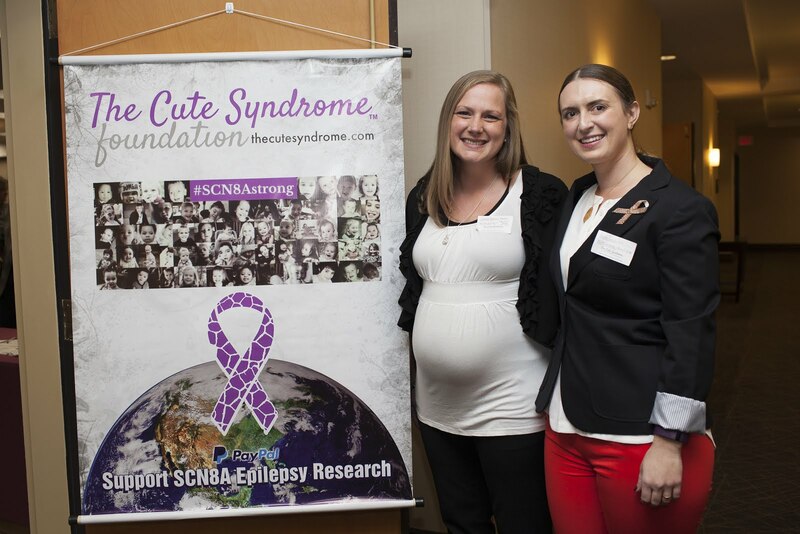 They were there because the SCN8A Advisor to the Cute Syndrome and dear friend Juliann Bradish and I invited them there to discuss SCN8A Epilepsy. When we began planning this event eight months ago we didn’t expect to find ourselves in such a room. We thought we might get 15 people to get together–we figured we’d order pizza and chat informally. But quickly the whole thing grew to 30 and then 50 and then 80. We had families traveling from Miami, Calgary, and Sao Paulo. 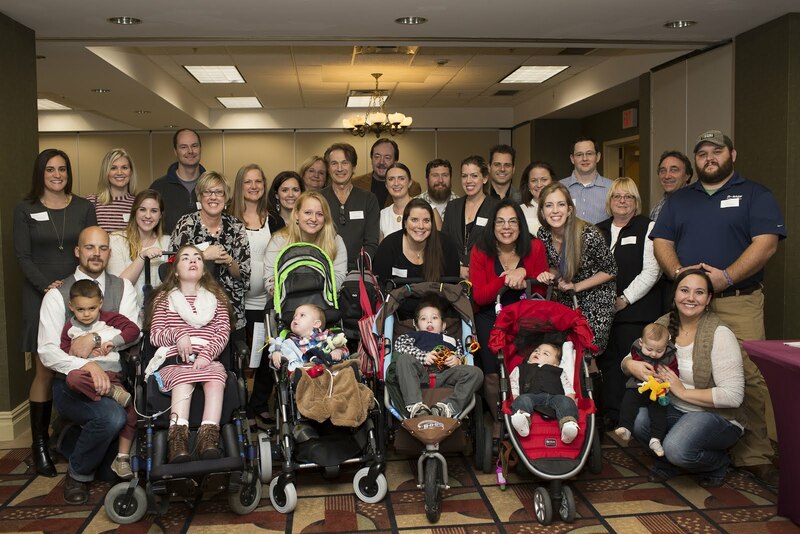 We had families traveling with their fragile children, so that they could be present for the event as well. We had to get a bigger room, a live stream (thank you Daniel Braz and Natan Pinheiro! ), a last-minute photographer (thank you Ryan Collerd! ), an agenda of speakers (thank you Dr. Ingrid Scheffer, Dr. Miriam Meisler, and many others!). I can say that it completely exceeded my expectations due to Juliann’s incredible planning, the hard work of our volunteers, the generous donations toward the event fund, the words of the SCN8A parents who spoke, and the incredible knowledge of the clinicians and researchers who participated. And I can also say that very rarely in my life have I known so clearly that the moments I found myself in were precisely where I was supposed to be…entirely unexpected…and entirely perfect. "Though we were without a map, without a plan, without a destination, we knew were going–" Laura Shigihara, "Jump"